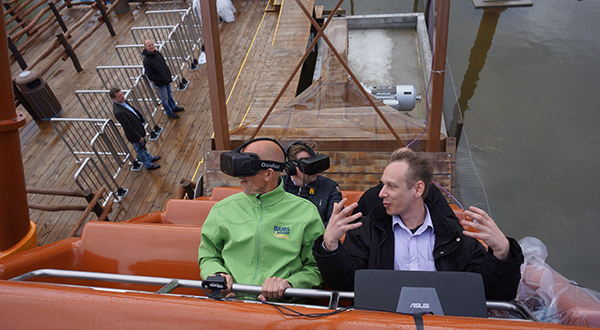 German amusement ride manufacturer Huss Park Attractions GmbH has announced the successful initial testing of an exciting, high performance virtual reality (VR) system which is set to add totally new optional ride experiences to its attractions. 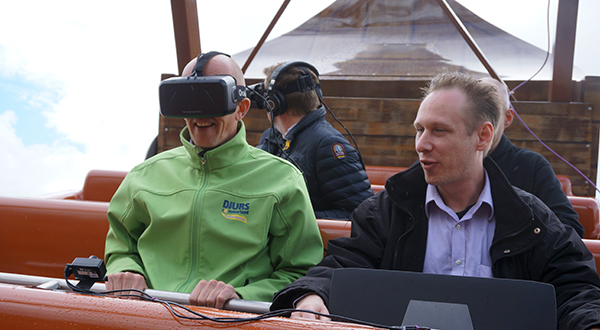 Hailed as the first VR system for use on a non-coaster attraction, the first tests of the system took place recently during an event with special guests at Djurs Sommerland on the park’s HUSS® Viking Ship attraction. During the event the riders wore specially designed VR ‘glasses’ and were immersed into a completely different virtual environment which synchronised to the familiar ride program of the attraction. With VR technology, all the motions of the ride are translated into the virtual world in real time to provide passengers with a totally new and exciting experience and to place them into new and fascinating environments. 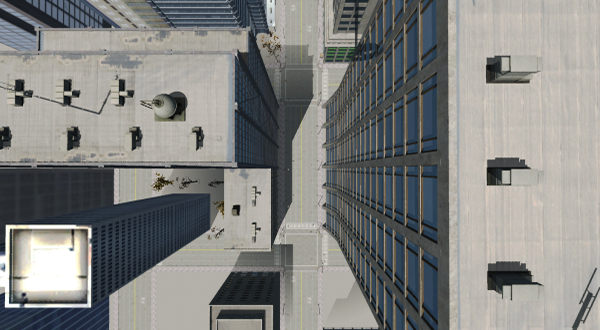 Even with the most lavish of design and theming, such a scenario would not be possible in the real world. In addition to a more immersive and intense experience, the system can be applied to almost any existing ride and a wide variety of content, suitable to the ride movement and/or theming. It is possible to create many different experiences on the same attraction. 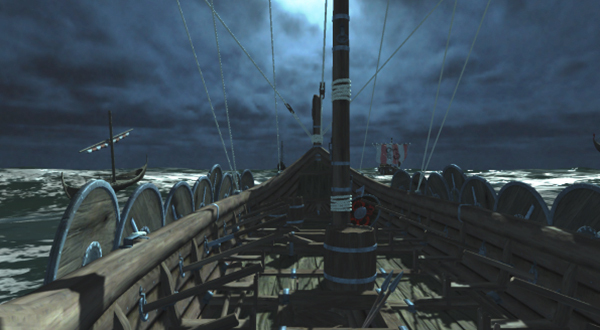 High performance, real-time computer graphics allow the integration of interactive elements while both small and large attractions can be used to create equally effective VR experiences. 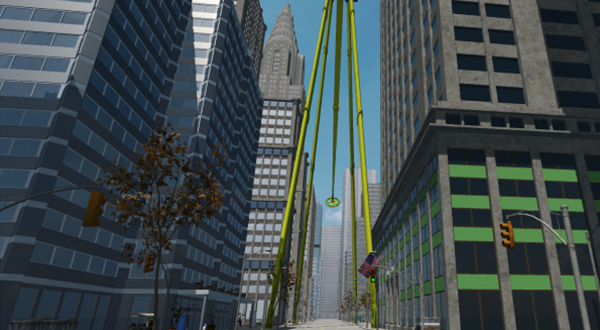 The retrofitting of existing rides is also possible and there are no limits when it comes to theming choices. 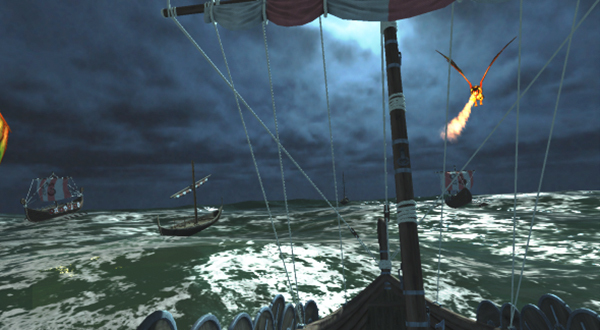 During testing at Djurs Sommerland, guests were placed right in the middle of the action in a series of virtual scenes, including stormy seas with mythical creatures, as well as swinging through the urban landscape of Metropolis and above the skyscrapers around them in what feels like an oversized giant swing. All the scenes were carefully synchronised with the normal swinging movement of the attraction, creating a totally immersive and very realistic experience.